Lights are burning clean and bright at Bryan ISD, as six schools achieved Energy Star status. 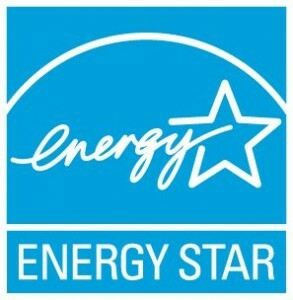 SHINNING BRIGHT – Energy Star was introduced by the EPA in 1992 as a voluntary, market-based partnership to reduce greenhouse gas emissions through energy efficiency. Johnson Elementary, Neal Elementary, Rayburn Middle School and Long Middle School recently joined the list of Bryan ISD schools to achieve the prestigious Environmental Protection Agency certification. Houston Elementary and Navarro Elementary previously achieved Energy Star certification. The honor means these schools are among the top 25 percent of similar facilities nationwide for energy efficiency and meets strict energy efficiency performance levels set by the EPA. All of these energy achievements occurred since Bryan ISD placed Paul Buckner in the newly created position of Energy & Sustainability Specialist two years ago. A job he takes pride in. In addition to creating positive environmental impact, the new energy efficient measures have lowered energy costs. Buckner said Bryan ISD’s commitment to energy efficiency has helped the district have an avoided energy cost of $228,650 over the last two years. Money that can be used in the classroom and to improve the learning experience of Bryan ISD students. The lights themselves have provided a better learning environment according to Buckner. 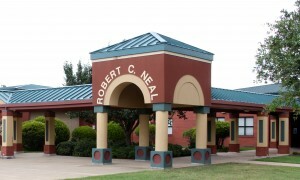 TREND SETTERS – Neal Elementary is one of six Bryan ISD schools to achieve Energy Star status. Energy Star commercial buildings, including schools, use an average of 35 percent less energy than typical buildings and also release 35 percent less carbon dioxide into the atmosphere. Bryan ISD improved its energy performance by managing energy strategically across the entire school district and by making cost-effective improvements to its buildings. In turn, the school district prevented greenhouse gas emissions equal to the electricity use of 324 households per year. Buckner will present the district’s latest energy efficiency developments at the Sept. 19 Board meeting. He said the results are clear, and Bryan ISD’s commitment to energy efficiency serves as an example for Bryan-College Station and surrounding communities.